Today we have a special treat for you. We are teaming up with WOW! Embossing Powder (below WOW!) 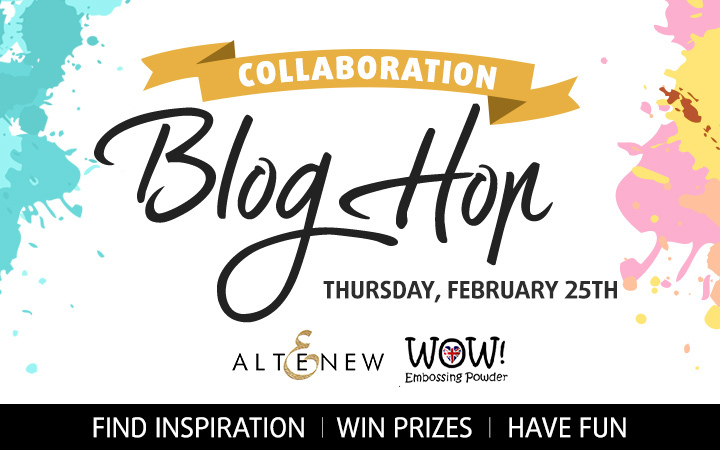 to bring you an amazing blog hop full of fun, inspiration, and of course – PRIZES! WOW! Embossing Powder has been established as a brand in 2007 and has grown dramatically since then. We are the largest manufacturers of embossing powder in the world, therefore are very pleased and proud to offer crafters what we believe is the best product available for crafters and professional printers! WOW! Embossing Powder offer over 160 different colours of embossing powders: Embossing Glitter, Metallic, Puff and Ultra High to name a few collections. WOW! also have Fab Foils, embossing inks, embossing pens, bonding powder, flock, stamps and stamping accessories as part of their range! I have two cards to share with you today. The first was actually quite difficult to photograph due to the soft colors, so I apologize for the poor quality! 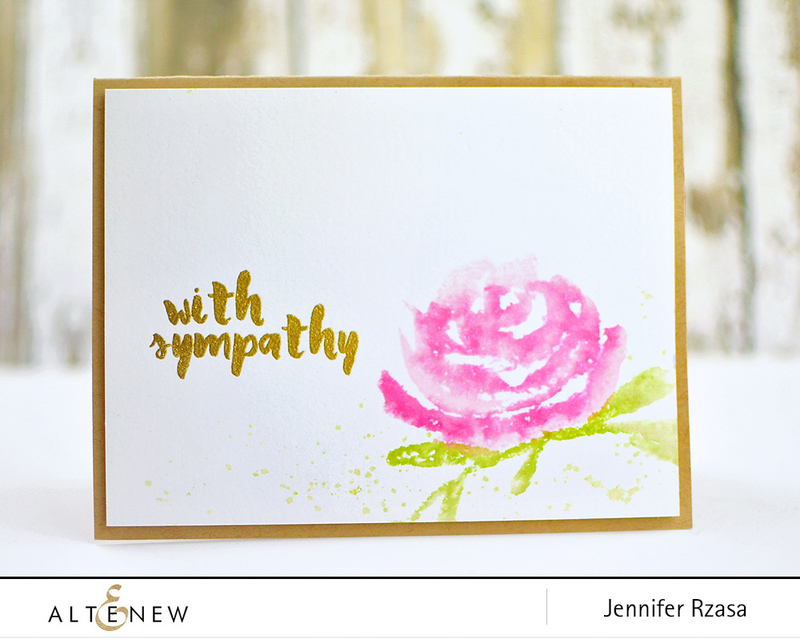 I first started by inking up the large rose from our Brush Art Floral stamp set with Coral Berry ink, then gave it two light spritzes of water. 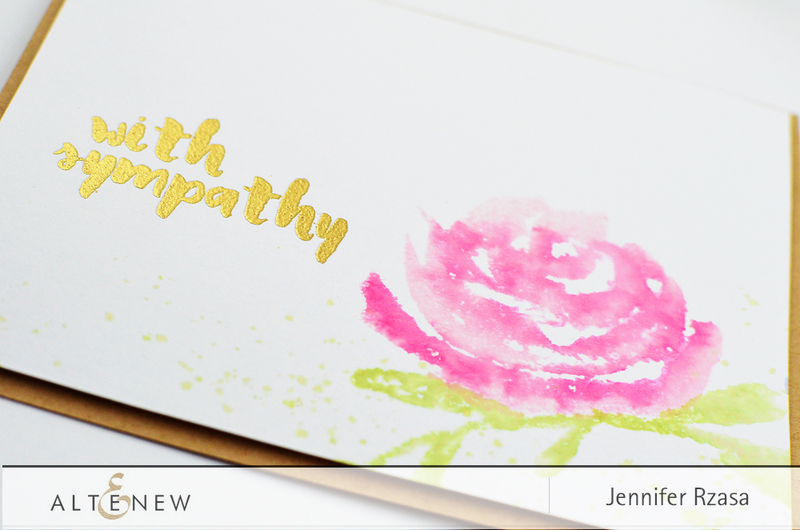 I then stamped it onto watercolor paper for a lovely hand-painted look! I followed the same procedure with the leaves using Frayed Leaf ink. Next, I stamped and embossed a sentiment from the Painted Greetings set with WOW!’s gorgeous Metallic Gold Superfine embossing powder. I love that beautiful shine! The watercolor panel was then mounted to a kraft card base with foam tape. 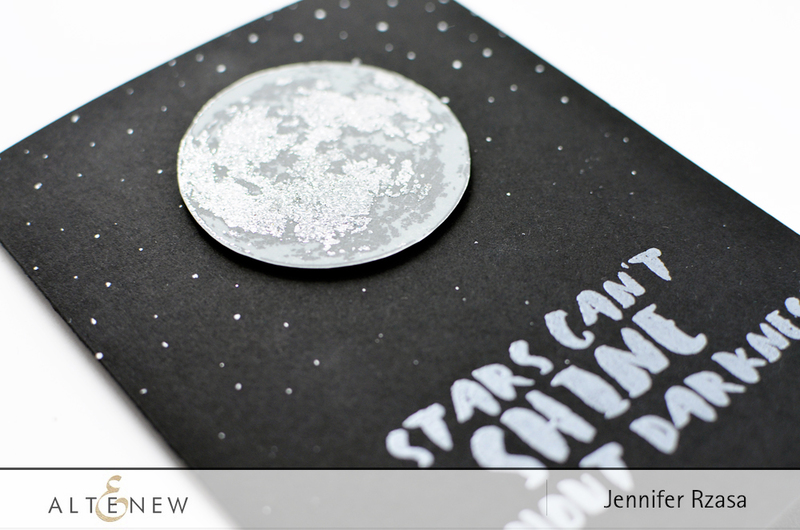 My second card features the moon image from To the Moon which I stamped in two shades of grey ink, then topped it off with WOW!’s Diamond White Embossing Glitter. 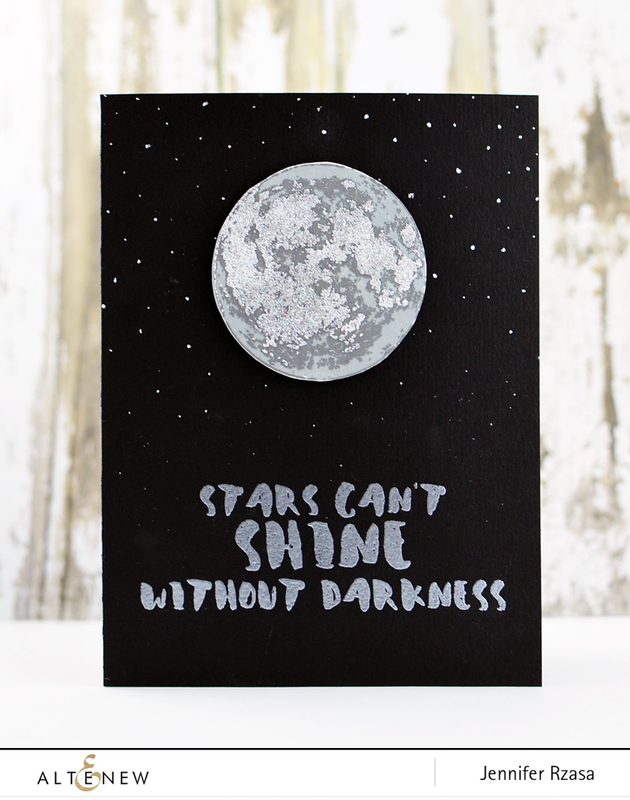 To accompany the sparkly moon, I embossed the sentiment (from Painted Inspiration) with Silver Pearl embossing powder. To add stars, I randomly drew dots onto the black card base with a white gel pen. There are two $30 WOW! gift certificates and two $30 Altenew gift certificates up for grabs. Winners will be picked randomly from the comments left on any of the blogs listed below. Please leave your comments by Sunday, February 28, 2016 at midnight EST to be eligible to win. Winners will be announced on the Altenew and WOW! blogs on February 29th. Now hop along for more inspiration! Your next stop is Yana Smakula’s blog. Here is the complete hop list…have fun! 25 Days of Christmas Tags 2018 + Giveaway! Very pretty cards. Love the new image. Beautiful cards. Thanks for the inspiration. Love your stamp sets. All cards are beautiful. Love the new stamps. Altenew has wonderful stamps, I’m so excited to try theses. Thanks for all the inspiration.